My name is Chyna! 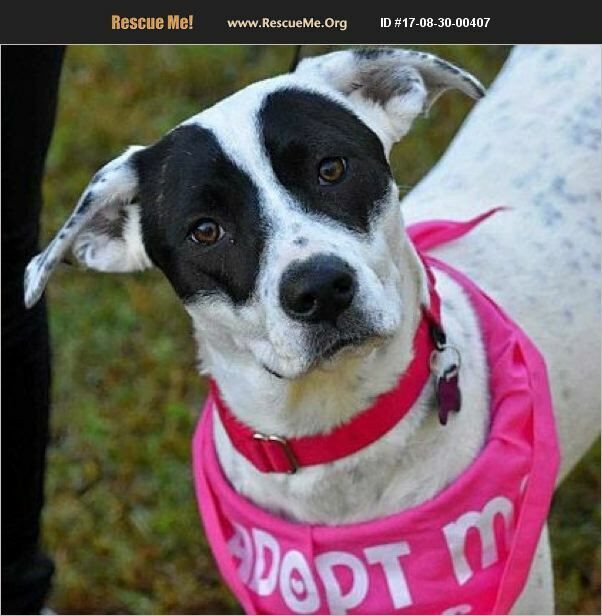 I am an 11-month-old Hound/Pointer mix and am fully grown at 45 lbs. I am a LOVER! I love people and being with my peeps as much as possible. I will cuddle with you on the couch and will happily return belly rubs with big sloppy kisses. I love other dogs too and haven't met one I don't like. I'm submissive, so it makes it easier for them to like me back. I also love to cuddle with other dogs just as much as I like to play with them. I really like cats, but they don't like me so much. Probably because I provoke them until they run. It's that whole 'thrill of the chase' thing. It's all in a day's play and playing is my all-time favorite thing to do. And, since I'm still a young girl, I'll admit chewing is another favorite pastime �'�| especially when I'm bored. Lots of toys, bully sticks, and pig ears are good to have on hand. I am an energetic girl that loves to run and jump so an active family would be great. With a little leash training I would make an awesome running partner. I like to jump and can get pretty high, so I would be a natural at agility training too! Training is something fun and rewarding for me to do because I am highly food motivated. So far I have learned 'sit' and to take treats gently. To help me calm down, I also have to sit and patiently wait at the door before mom opens it to let me outside. Car rides are the BEST! I'll hop in the car on my own and sit quietly in the seat while you're driving. For real, I'll do just about anything as long as I can do it with my family. I truly am a well-rounded, happy-go-lucky girl. Sometimes my tail wags so hard that my foster mom says it feels like a little whip. She says it's okay though since it's just my love overflowing. Admittedly, my tail wagging (and jumping) is not good for little kids, so a home with kids 8 yrs of age or older would be best. If I sound like the dog for you, please email my foster mom at fchscarla@gmail.com or submit an adoption application at www.pawsforlifenc.org. I am spayed, micro-chipped, and current on my vaccinations and monthly heartworm and flea/tick preventives. My adoption fee is $225.